A modern business is only as strong as the technology that supports and drives it. While technology is devoid of human problems like lack of motivation, procrastination, or frequent absence, technology is far from perfect. In many instances, technologies fail—largely due to things like lack of proper user adoption or system neglect. That’s why, like employees, technologies can benefit from annual performance reviews. Evaluating your company’s technology infrastructure, training processes and schedules, project management processes, risk assessment practices, and security policies can not only help protect the investments you’ve made in the technology that runs your business, it can protect you from problems in the future. Let’s explore that. A year-end technology performance evaluation is an opportunity to review the goals you set when you adopted the tech solutions you’ve purchased and how successful you’ve been in meeting those goals. 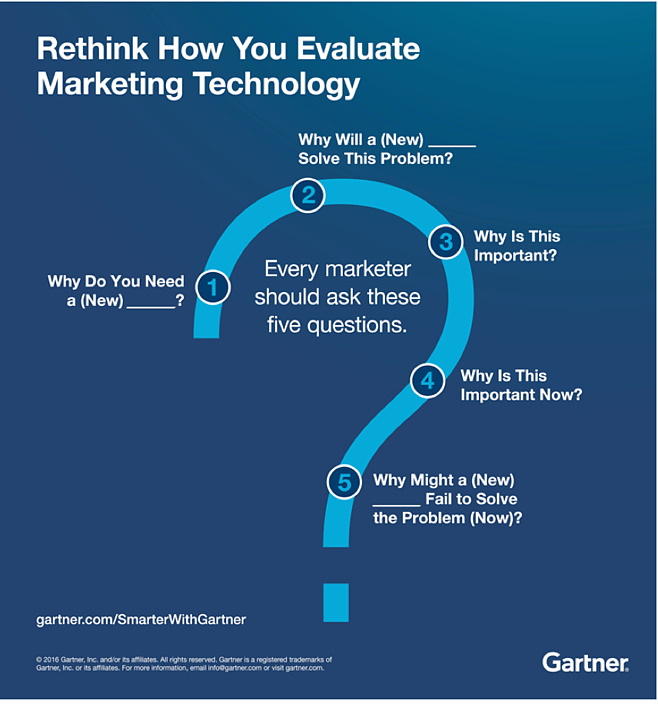 When thinking how to evaluate technology purchases before the fact, whether for marketing or any other department within the company, a good rule of thumb is to approach it in the way Gartner laid it out in the image below. Ask yourself questions like: Why do we need this, why will this solve a certain problem for us, why is this important to the organization, why is this important now, and lastly, is it possible this will fail to solve this problem and if so, why. You can (and should) do this same kind of post-purchase, annual review and evaluation for all technology purchases (not just marketing-related ones) you’ve made throughout the course of any given year. This way, you can accurately assess whether the technology is delivering on the value you thought it would at the time of purchase. If not, maybe you need to modify as you move into a new year. No matter what kind of technology you might have invested in over the course of the last year, reviewing what you’ve done to enhance and improve collaboration within the organization is an important part of any conversation that involves a review and discussion around the adoption of technology. With an ever-growing remote workforce, with mobility playing an increasingly important role, and with clients being located all over the world, ensuring that it’s easy to collaborate, both internally and externally, plays an important role in business success. For instance, you may have invested in a new video conferencing technology to improve collaboration between your remote and in-house employees and/or to facilitate client meetings. This is a great time to review how this new equipment is fulfilling its purpose and to example how your team is benefitting from it. If you’re not seeing full adoption or if there is any dissatisfaction, it’s time to review the situation, get to the source of the problem, and work with your AV vendor partner to remedy it. With technology evolving at a breakneck pace, many companies invest in solutions too quickly to give much thought to the overall impact it may have and how it will integrate with existing systems and processes in the organizing. Many technology failures are the result of lack of adoption and improper use. To find out if you have any duds in your newer technologies, gather feedback from the people who use them the most. Target employees and IT team members who use the technology, and give them the opportunity to offer ideas on how to improve the situation. Employees like to feel involved in business decisions, and including them in annual technology performance reviews can make them feel more invested. 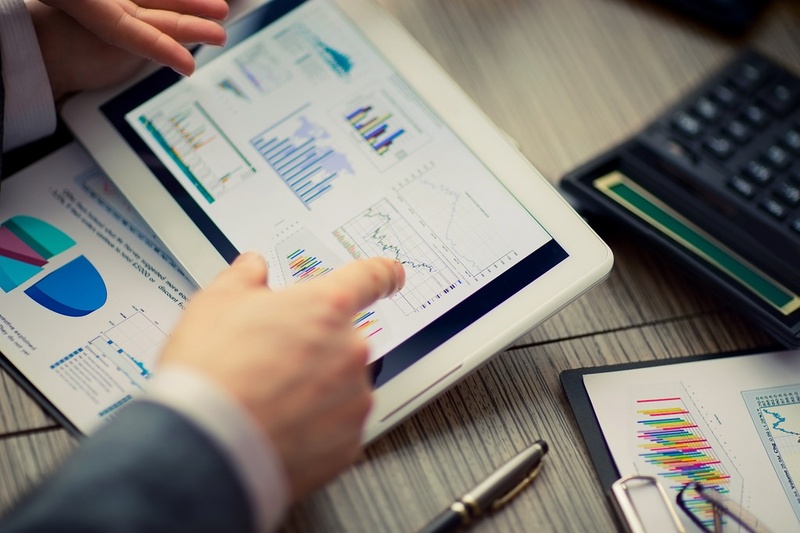 Combine your annual technology review with a training evaluation to find connections between technology that may be hindering your company’s progress and poor training procedures. In many cases, a piece of technology isn’t working simply because of lack of proper training which impacts adoption. Regularly evaluating your training program, and asking for feedback from employees on this front as well will help improve your process for the adoption and implementation of new technologies and the training that goes along with that. Once you’ve gathered all vital information regarding your technology, create a matrix to rate your equipment based on certain criteria. Evaluate projects that have used the technology, and rate the success of each using a numbered scale. This will give you a broad overview of where technologies have failed you this year and where there is room for improvement. Year-end performance evaluations are all about understanding the big picture and reestablishing why you’ve invested in the technology that your business and your team is relying on for smooth operations. Once you do this once, we predict it will be an annual exercise, and deliver much value to you and the organization as a whole.